To trace the royal lineage and confounding mélange of Rajasthan what better way than the tourist train Palace on Wheels itself. the most revered luxury trains in India is also recipient of the coveted World Travel Award for the 4th best luxury train in the world. Designed to recreate the elegance of a bygone era which once was exclusive province of the maharajas of Rajasthan, Palace on Wheels crisscrosses some of the most colorful, diverse and fascinating destinations in Rajasthan over 7 days and 8 nights of its royal journey. Be prepared to be treated like a king in a journey like no other in the most loved luxury train in India as you come face to face with kaleidoscope of vibrant Rajasthan. 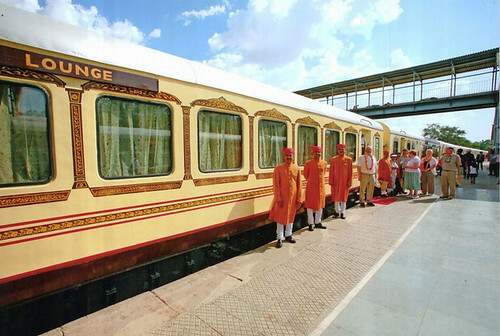 A joint venture between Rajasthan Tourism Development Corporation (RTDC) and Indian Railways, the luxury Palace on Wheels started its operation in 1982. The train showcases the splendid land of Rajasthan redolent with its royal past. A royal journey laden with story of romance and valor of Rajput Kings of yore unfurls as the train embarks on a whirlwind odyssey which span across Jaipur, Udaipur, Jaisalmer, Chittorgarh, Jodhpur, Sawai Madhopur and Bharatpur. 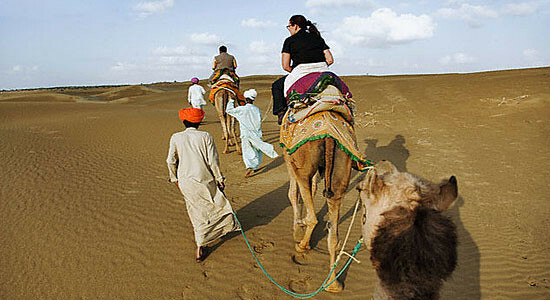 During this 7 nights and 8 days journey, myriad colors of Rajasthan will paint a fascinating canvas on your mind. Sprinkled across these meticulously selected destinations is an array of resplendent fortresses, sparkling palaces, wildlife sanctuaries, undulating sand dunes of Thar Desert and amazing concoction of colors and culture. Palace on Wheels is fitting name given to the train as it is much more than an ordinary train traveling experience. There are total 14 cabins in the train named after various regions from where princes of yore ruled, each suffused with and tradition and culture of that particular kingdom. The cabins come with attached bathroom and are equipped with facilities such as TV, intercom and channel music. 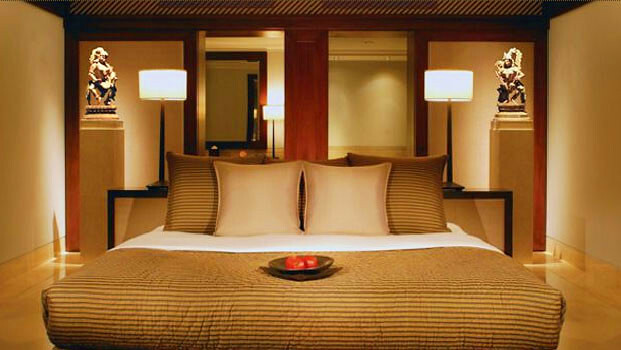 To ensure the royal pomp and exclusivity, a personal attendant or Khidmatgar are separately appointed for each cabin to take care of your personal needs. Not just the journey, itinerary and facilities, but a gourmet dining experience is also in store as you traverse the course of a memorable voyage. 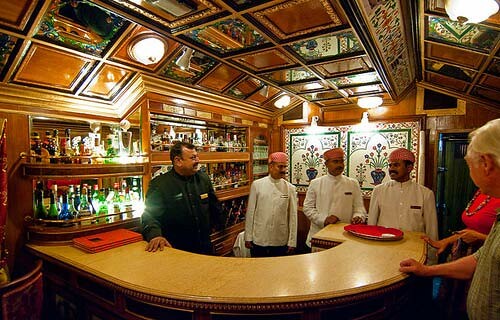 There are two elegantly appointed restaurants in the train, Maharaja and Maharani. Served to tantalize your taste buds in a relaxing ambience are authentic Chinese, Continental, Thai and Indian cuisines along with savory seafood and Mexican dishes. A well stock bar with selection of top brands of wine, liquor and liqueur is the perfect place to sit back and enjoy in perfect nonchalance. But the pick of this journey - notwithstanding the fascinating destinations - is when you are on board the Palace on Wheels. Watch the landscape spool like illuminating scroll and marvel at the amazing kaleidoscope presented to you. Get the first hand picture confounding for its sheer diversity. Relive the lives of erstwhile maharajahs as you get the true picture of the lives of the kings. 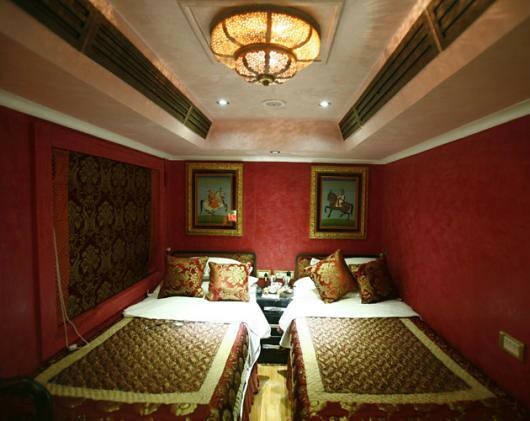 Palace on Wheels train will enthrall you with its sheer imperial aura. To say that you will rediscover the lost romance of elegant traveling on board will not be an overstatement as whole journey will become the part of your experience.